From appearing in the Oxford English Dictionary during the year 1787 to helping president John F. Kennedy with his chronic back pain (thus also ending up in nearly every room of the White House), the journey of rocking chairs, has been an iconic and the most celebrated one! Though Benjamin Franklin is sometimes credited with inventing it, it is more likely that this relaxing chair first appeared in America during the 18th century. Continue reading to uncover the full story. While they play a prominent role in both architecture and pop culture, rocking chairs established their place in American history long ago. In the 1700s a rocking chair was often designed for two or more people, a mother & child and an elderly person & his/ her nurse. As the 19th century wore on, rocking chairs were embraced by an entirely new generation. They became symbols for the stagnancy of growing middle class and an accessory in their performance of informal leisure. 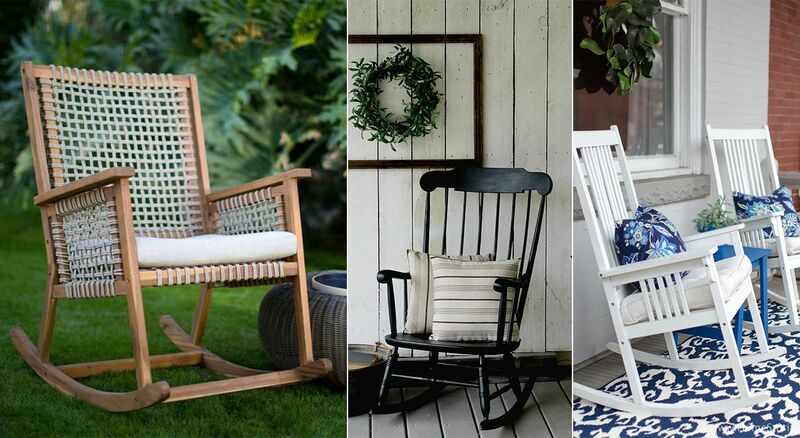 But ever since the 18th century, rocking chairs have graced porches, front lawns, patios, decks, nurseries, living rooms and continue to do so even in the 21st century! 1710 - The first rocking chair was designed by tying two ice skates to the bottom of a chair. 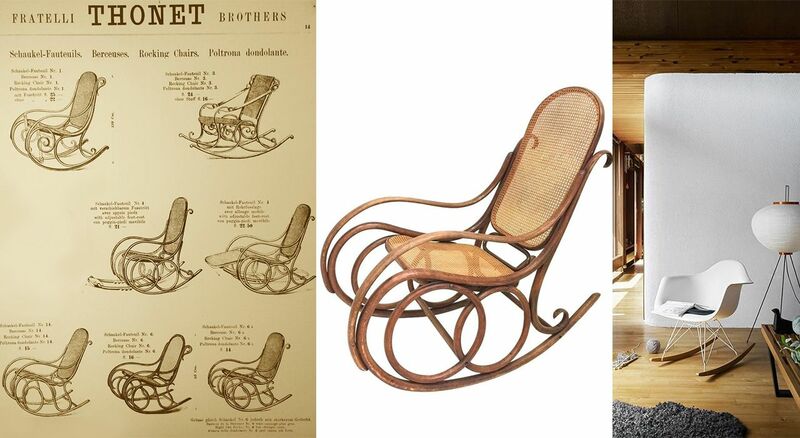 1860 - Michael Thonet, a German craftsman created the first bentwood rocking chair by steaming pieces of wood to effectively shape the rocking chair’s rocker into its graceful swoop. Early 1900s - Wicker rockers with padded seats as well as folding rocking chairs came into fashion as popular travel accessories. 1950 - The Eames rocker was designed out of the midcentury movement adorning curved fiberglass shell seat and thick wooden rockers. 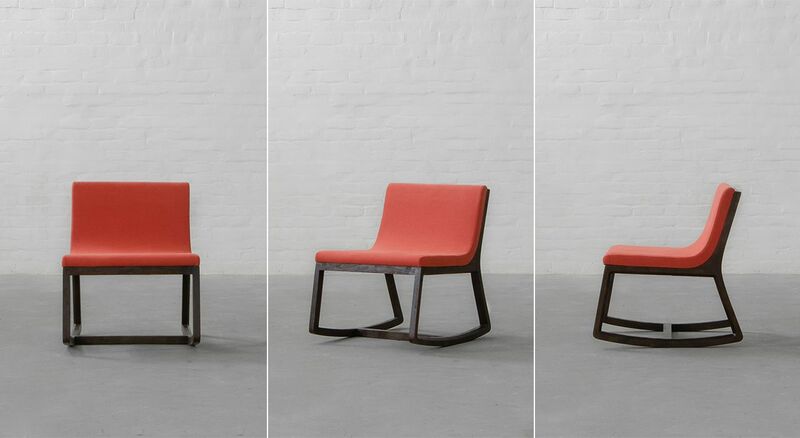 Characterized by curved legs that serve as the mechanism by which the chair rocks back and forth, a traditional rocking chair is typically the most common and the most affordable type. While its widely loved and most durable out of all the types, it usually needs large amount of floor space to be functional. 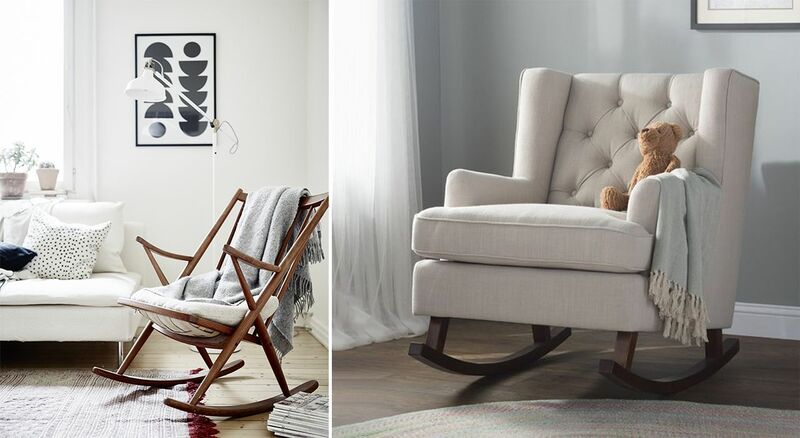 Here are 2 traditional rocking chair styles that usually go with every décor style along with some tips & tricks to style them! 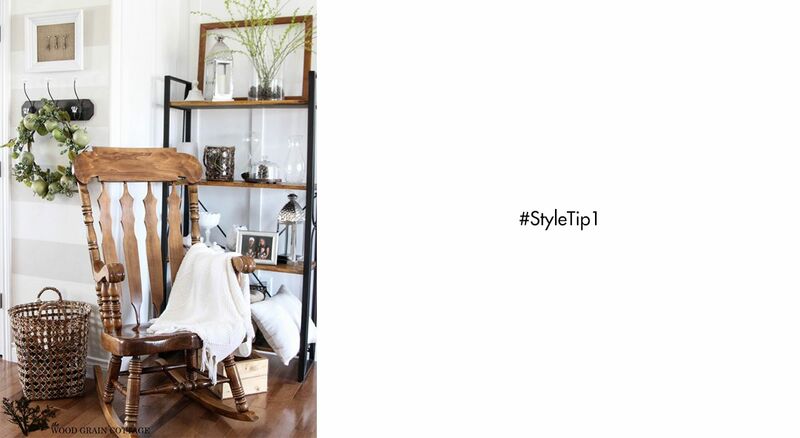 A perfect option for a room that feels empty and echoic, upholstered rocking chairs provide undeniable comfort. 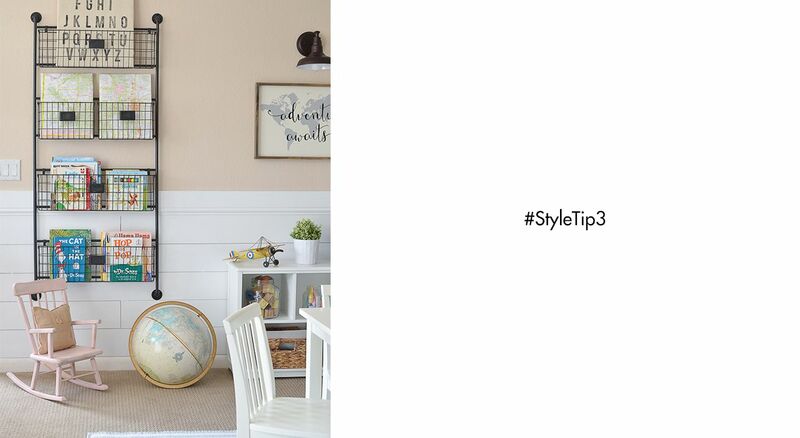 And when it comes to style, upholstery is the perfect way to add color and texture to a room. If everything in your space is wood or metal or glass, it can start to look stark; adding upholstered chair often softens the look. But beware of the kids, as upholstery can also be hard to maintain! Ideal for a bedroom corner, where you can dream and doze off in comfort, while resting your feet in style! 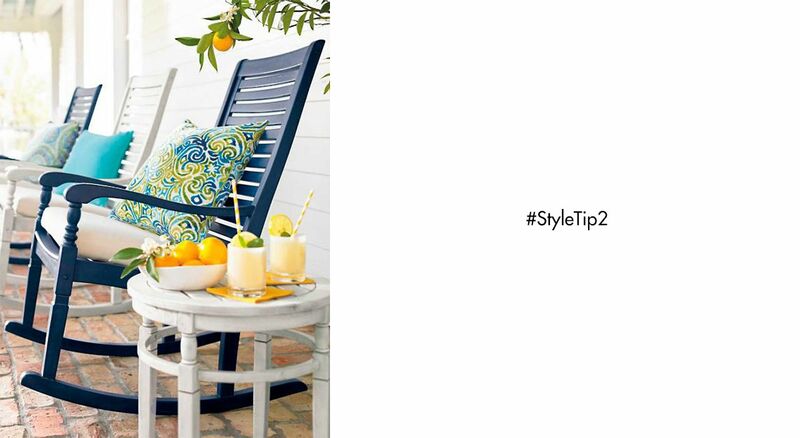 Make conversations rocking by adding upholstered rockers in your living rooms! Seating that can be passed down from generation to generation; wooden rocking chairs are built with solid construction and have excellent durability and longevity. 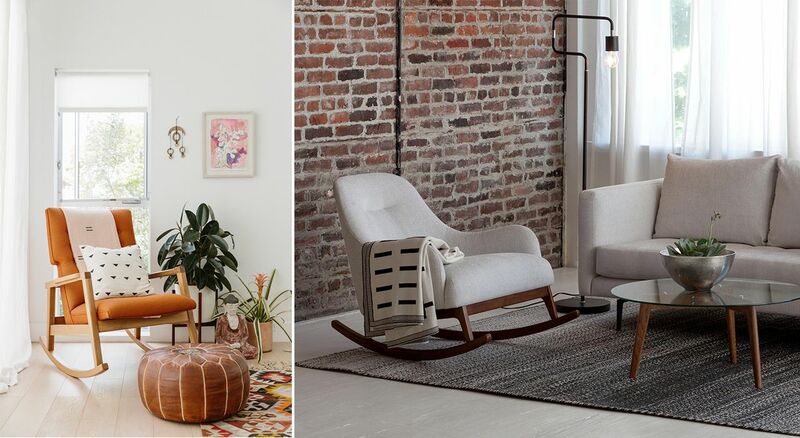 While being aesthetically beautiful & appealing, wooden rockers are also versatile in style and can easily transition with the look of your interior space, if it changes over the years. Perfect for a reading nook, while soaking in some sun! Welcome summer in the company of your friends, some fruit punch and a beautiful patio! A great addition to your child’s territory, and just maybe they can help soothe your little one to sleep! An ensemble that synthesizes both napping and modernism, here’s to many more years of rocking chairs and unplanned innovation! Also, did we forget to mention that now you can shop for rocking chairs on gulmoharlane.com. Well, it’s never too late, so start exploring now!